Preheat the grill to high or light the barbecue. Soak 8 wooden skewers for 10 minutes. Toss together the steak cubes, peppers, onion, oil and paprika. Season. Thread some meat and veg onto each skewer. Grill/barbecue for 8-10 minutes until tender and browned. Meanwhile, mix the avocados, mangoes, cucumber, spring onions and leaves. 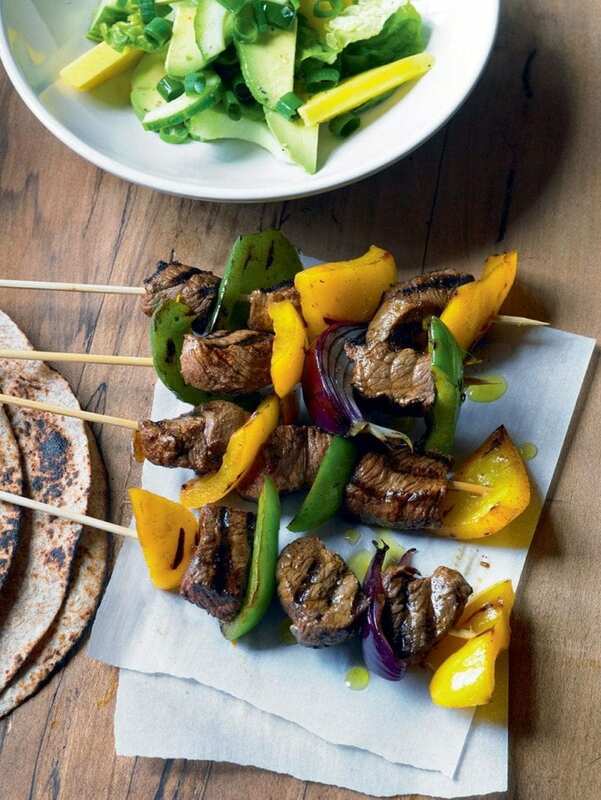 Arrange on plates and top with the skewers. Serve with flour tortillas and lime wedges.